Among the rights of a worker is to be paid, according to agreed upon terms and conditions of service. The focus of this piece is on the third category on of those who have been categorically singled out as one of the opponents of the the Almighty, on the Day of Reckoning. The bill was approved by cabinet later in that year. The National Assembly and the National Council of Provinces both passed the bill in during 2018, along with the associated pieces of legislation, namely, the Basic Conditions of Employment Amendment Bill and the Labour Relations Amendment Bill. President Cyril Ramaphosa signed the bill into law in November 2018. A ceremony followed in during early December, at Kliptown, Soweto, where he promulgated that the law would come into effect on 1st January 2019. 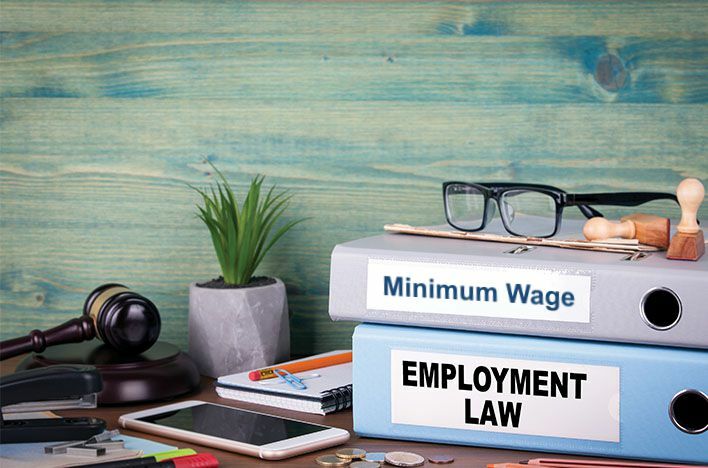 If follows then that the start of 2019 has ushered in a minimum wage regime which is now the law of the land, binding on all employers. Employer-worker relationship is one way in which those who have can distribute wealth within a society, with the employer benefiting from the value of services rendered by a worker, who in turn, should be fairly remunerated. Believers are cautioned against exploitation of any kind, even if the other person being the weaker party, agrees to such a deprivation or exploitation under the stress of circumstances. “Do not kill yourselves” refers to the eventual outcome of exploitation. It perpetuates a cycle of hatred, and anger, which will eventually rebound on the oppressors themselves. Exploitation of any kind is tantamount to self-destruction. The Jamiatul Ulama South Africa supports this legislation as representing just a start, albeit minimal, towards ensuring that worker rights are protected through fair compensation. We urge all communities, especially households that engage domestic helpers, to adhere to the guidelines of paying a wage, according to the relevant legislation. It is imperative that each and every employer familiarises themselves with all aspects of the regulations that the law stipulates. In cases where it is not possible to engage a worker on a full-time basis, it is only proper to compensate, pro-rata, according to duration of service and subject to relevant regulations. Our employees are our brothers and sisters (in humanity), deserving to be treated with dignity and respect. Pay them enough so that they are able to maintain themselves with dignity. Do not impose on them so much work, or so long working hours that may be overbearing. A fair wage, that reflects our respect for the law and care for those in our service, is but just one aspect of good treatment of those under us.